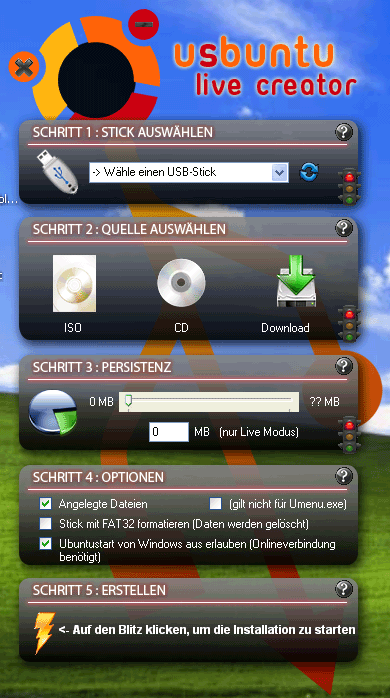 uSbuntu Live Creator is a free software for Windows that allows you to create a bootable USB stick with Ubuntu 8.10 on it. 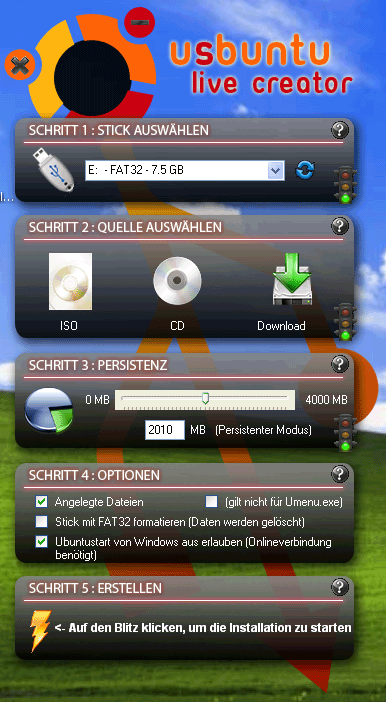 This software also offers a new option for virtualization to run Ubuntu directly into Windows and without any setup or installation - this is done by using a portable version of VirtualBox. 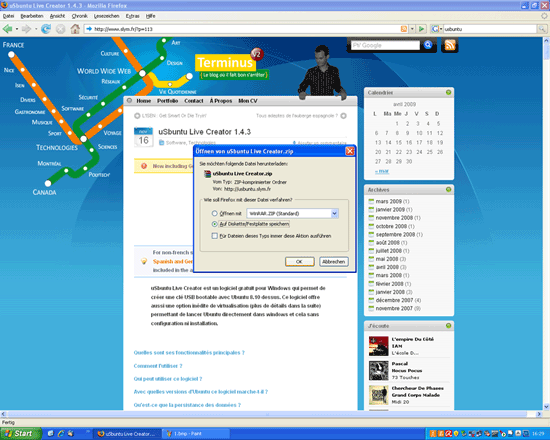 uSbuntu Live Creator not only supports Ubuntu 8.10, but also Kubuntu 8.10 and Xubuntu 8.10. 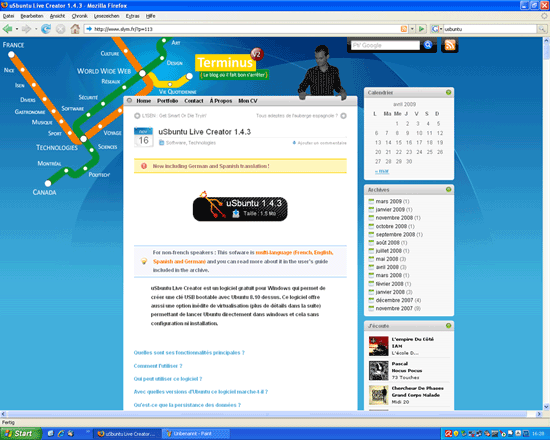 It also works with Ubuntu 9.04, as you can see on http://www.slym.fr/.